Our “Eat the View” organic garden has expanded more than triple in size from last year and there are plans to continue the expansion with every season. With efforts to bridge the gap to a more sustainable future and with the growing patches of vegetables come the need for more organic materials such as mulch, soil, and nutrients. The expansion of the “homesteading” on our near half acre of land has necessitated the development of a new composting project. This discourse focuses on efforts at capturing some of the beneficial opportunities that Mother Nature intended. Like most folks, you are probably tossing good nutrients down the kitchen drain or into the garbage can. Moreover, if you keep a tidy yard, maybe you are like many folks who bag up their fallen leaves, yard debris, and grass clippings and put them out on the curb nicely packaged and ready for the weekly trip to the landfill. Some folks do not pack that well for a trip to the beach, but they sure do pack their grass clippings all nice and tidy for the trip to someone else’s back yard, as long as it’s not in my back yard, right! NIMBY, or “not in my back yard” as the saying goes, buy hey, at least this yard stuff is safe material and not hazardous…oh, but did that trusty neighbor next door recently treat his yard and garden with herbicides, pesticides, or fertilizers….Diazinon, Malathion, Roundup, Weed-B-Gon, Turf Builder, or Winterizer ring a bell? Consider this…with a little work, you can reap the benefits and rewards that Mother Nature intended. Thirty percent of all kitchen household waste is organic material that can be recycled, yet most folks just drop it into the garbage pail or disposal. In developing countries the average household generates up to 75% of its total waste in organic material, there are many missed opportunities here also. It is one of the paradoxes of modern culture that materials can change their value in an instant; similar in the fashion as one person’s trash becomes another person’s treasure. The food on your plate, so desirable when first appreciated with a robust appetite, having already traversed an incredibly long chain of energy, resources, and processes expended in the production and preparation for the table; in one instant turns into garbage by the contented palate. What a moment ago was a chef’s delight, now is a nasty platter, at best a “leftover”, or consigned to the doggy bag, or transferred to a storage container and pushed to the back of the refrigerator and left for mold growth experiments that would make anyone cringe, and most likely and ultimately thrown out with the garbage or disposal. This remarkable value transformation occurring entirely in the human mind creates the perception that what was once a full plate of nourishment, is now a has-been by-product collection of trash, totally void of any redeeming qualities. 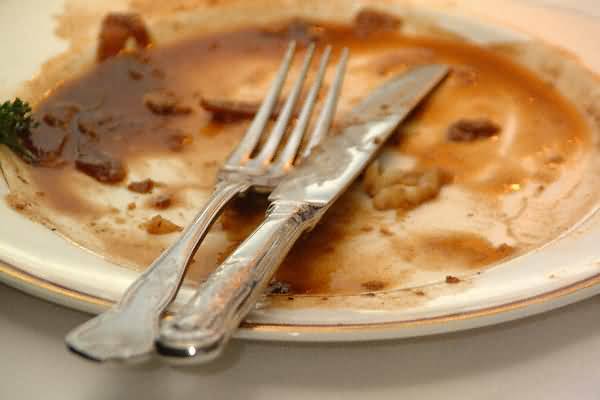 Alas, in reality, the plate scraps, discarded vegetables, and debris resulting from the toil and hours of determined preparation of the meal are still full of energy and life, complete with the same nutrients needed for life as when first served from the kitchen. Moreover, these discarded scraps offer a far more generous variety of elements necessary for producing more food than can be found in any sack of fertilizer. Things that were common during the agricultural age became passé or lost in the industrial and information age. Lately, more with emphasis on the production, packing, shipping, and preparation of food sources, with little importance on completing the cycle with decomposition back into the earth from which it started. 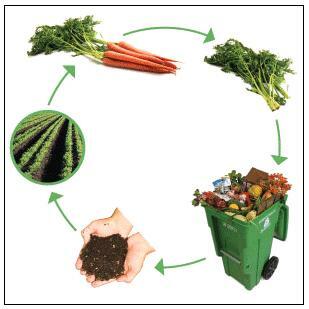 Foodstuff scraps are for the most part disconnected from the complete natural lifecycle. This system relegates organic kitchen material to enclosed plastic bags, mixed with refuse, plastics, paper, dust, and other non-recyclable items, shipped off to a landfill, and then covered with earth, buried forever in a tomb, never to be utilized again, or at least for many decades. There are so many similar life cycle disconnects in our “modern-age” that it seems plausible to suggest there must be a better way! On a bright spot, some communities are now organizing food waste recycling efforts, for example, the city of Oxford; UK has successfully implemented a food waste collection system since December 2009. Using the same processes found in nature, it is possible to return once living food scraps into viable life-giving elements that will nourish future plant growth. Anything that was once living can and will decompose and break down into its simplest elements. Even the kitchen scraps on your plate that was once a culinary delight can some day become tomorrow’s nutrients in next year’s vegetable crop. How does this process occur? Decomposition is the process of organic matter broken down by other living organisms into the simplest elements and thus completing the plant compost life cycle. You have to wonder what the percentage of US households that currently use their kitchen food waste as compost. The amazing thing is that when you take the projected number of current households in the US and multiply that figure by total household organic food waste the figure is an astounding 143,876,261,284 pounds, which is 71,938,131 tons. To give you an equivalent in nature to compare by, the largest mammal is the blue whale, which can weigh about 150 tons5, and the annual weight in household waste material would be the same as 479,587 blue whales. On the other hand, and for optional reference and scale comparisons, if you like to equate it to manmade objects, annual household organic waste would match the weight of the ill-fated Titanic6 times 1,563.9. That is a lot of organic waste material folks! These figures do not even touch the amount of organic kitchen waste generated by restaurants, commercial kitchens, hotels, country clubs, caterers, and food manufacturing plants across the country, of which many are sending their stuffs to the landfills and sewerage treatments plants. Image how much of that kitchen waste could be converted to viable elements for gardens. Consider the population of São Paulo, the largest city in Brazil with 11,037,593 inhabitants as recorded in 2009;8 this would amount to about 6,622,556 pounds of organic waste material per day per capita for the metropolis. Annually, the city has to contend with 2,417,232,940 pounds of organic waste material, and that takes a lot of infrastructure to handle that amount of trash. In addition, the metro area of São Paulo includes a much larger population of 19,889,559, so do the math on that! Indeed, that is a lot of organic waste material. How much of this organic waste material is captured and recycled? Our homestead lot is about 0.45 acres in total size, and the house footprint takes up about one-third of that space, so we end up with about 0.3 acres of useable land area including the yard, garden, sidewalk, and driveway space. Of this space, most likely about one-fifth or 0.2 of an acre makes up the actual grassy portion of the lot. When using the rear mower bag for the grass clippings the yard generates about eight full bags, and these get mixed into the compost pile, along with the leaves and useable kitchen waste materials. In the three weeks that I have started using the mower bag to catch the yard grass clippings two bins have become ½ full. Plans are in place to expand the compost bins to double their capacity, and 4 more pallets are in the works to be added soon. This is the simple homemade compost bin made with leftover pallets from a previous paver’s project and wire. Pallets can be wired together creating a perfect set of compost bins, and require only free pallets and a little wire to fashion them together, a simple project that takes little time and effort, and helps to recycle wood pallets that otherwise end up in the landfills themselves. The benefits of composting at home, in the community, or at the restaurant, far out weight the costs. It not only saves the environment, but it directs energy and nutrients back into a complete cycle that generates new plant life. Compost contains macro and micro nutrients often absent in synthetic fertilizers. 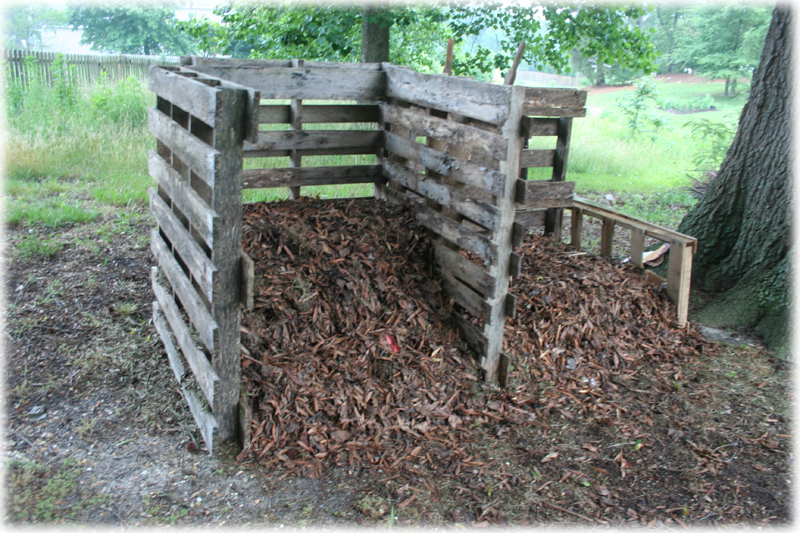 Compost helps bind clusters of soil particles, called aggregates, which provide good soil structure. Such soil is full of tiny air channels & pores that hold air, moisture and nutrients. Compost brings and feeds diverse life in the soil. These bacteria, fungi, insects, worms and more support healthy plant growth. Healthy soil is an important factor in protecting our waters. Compost increases soil’s ability to retain water & decreases runoff. 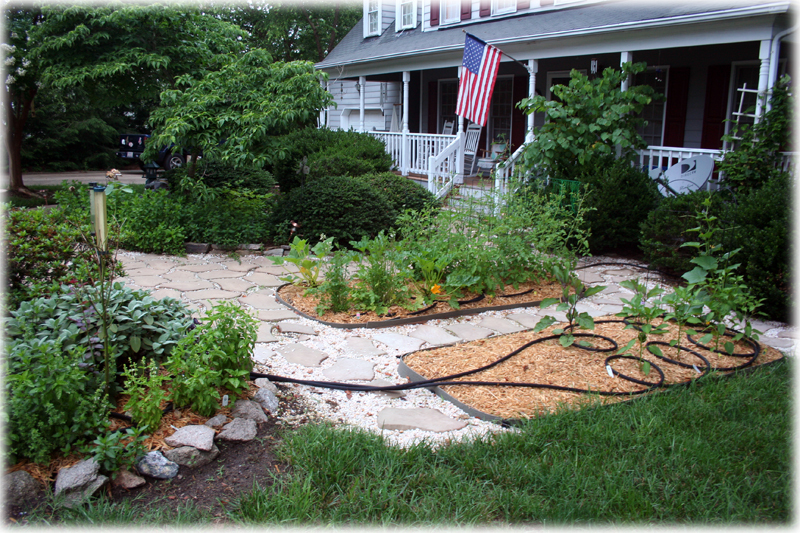 Runoff pollutes water by carrying soil, fertilizers and pesticides to nearby streams. What are the easiest, most important things to recycle? I’ve been trying to talk myhusband into letting me compost, but he won’t hear any of it. Maybe I could just sneak a box in the backyard somewhere . . .
great post! went into some extreme detail, but it’s good information that needs to get out. San Francisco makes it so easy (and I think it might even be required by law) to compost, but so many people still don’t do it. So many benefits, like you said – outweighs the cost…by a wide margin! Great post! Thanks for all the wonderful information! Impressed by all the info and that you are composting on your own. Luckily, here in Seattle we have a serious mandatory composting program. Once a week all food and yard waste is picked up by the City and then it is all used to make compost for our parks. Since it’s picked up once a week we even get to discard meat and fish and poultry scraps. A wonderful, very thorough post. We started a composter last October and its contents are starting to look pretty good! We’ve actually run out of room though and need to start another one. Fortunately our village’s town council is subsidizing them so we can get one for 15 euros! A wonderful, wonderful, comprehensive post. I’ve been trying to figure out how large a one to have an indoor compost since I don’t have a garden. You laid out the issues in an extremely helpful way – thank you. Fantastic and informative article. Well researched and written, Chef! great article Ryan, thanks for sharing such good information. Admiring the effort and time you set into your blog and detailed info you provide! I will bookmark your weblog and have my children examine up right here often. Thumbs up! I only have a small compost bin and save only vegetable scraps from inside the house, maybe coffee grinds and eggshells when I remember, but mostly leaf clippings from the yard .